Returning sophomore students requesting Smallwood receive priority for rooms. Students must have a cumulative GPA of at least 2.5 and no disciplinary record at SPC. 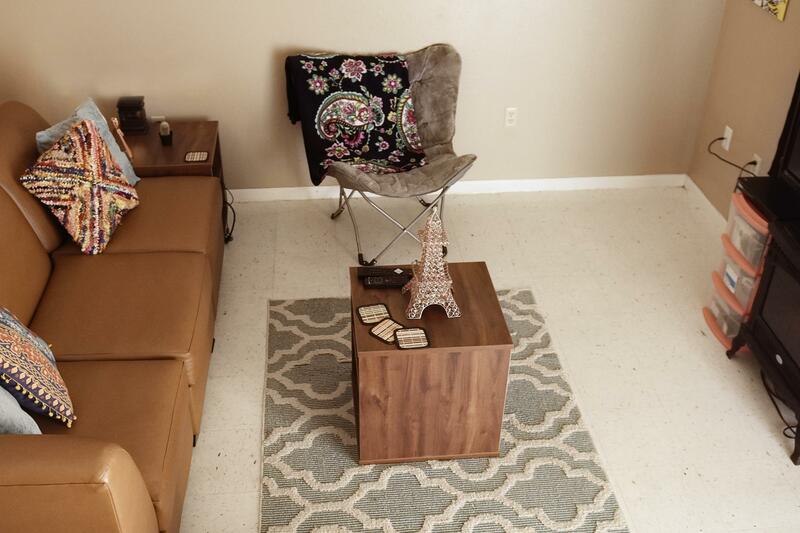 The Smallwood Apartment complex features six apartment units each housing four students. 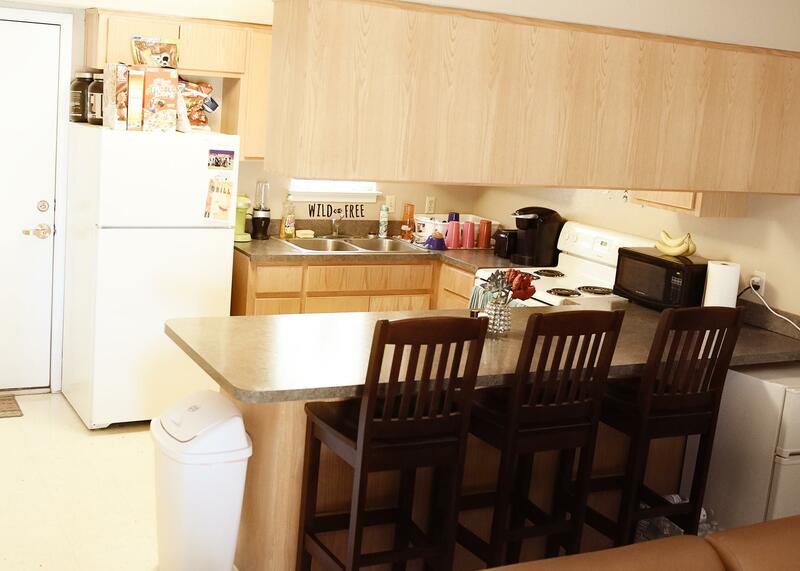 Each apartment is completely furnished and air conditioned. The room charges include all utilities. 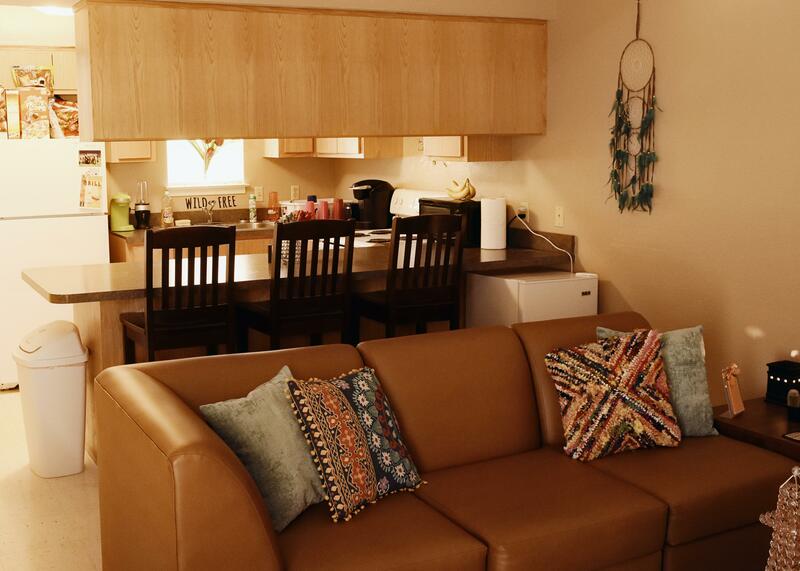 Residents have access to laundry facilities. The split-level floor plan features a combination living-kitchen area, one bedroom and private bath downstairs and a loft bedroom and private bath upstairs. Furniture includes standard twin beds, desks, two chairs, and a vanity. In the living room a sectional sofa and two end tables are provided. The kitchen area has four bar stools, a stove, and a refrigerator.